There are 12 posts in this thread, and it has been viewed 11755 times. Magical Drop 2: Yay or nay? Hello! Game of the Week time! I thought this week should be a puzzle game, so its Magical Drop 2! 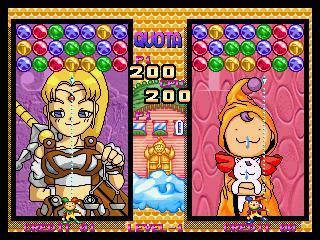 Magical Drop is played in a Tetris-style box; a "stack" of random colored bubbles descend from the top, and a player is defeated when a bubble hits the bottom. Bubbles can be picked up and dropped by the player's "clown" at the bottom, and are destroyed when three or more of the same color are put together on a single column. "Chains" are formed either when a single drop caused a chain reaction, or when more than one group of bubbles is destroyed in quick succession. The game is normally played with two players (one may be a computer opponent), and chains cause the opponent's stack to descend faster. If you are a fan of puzzle games, then you should definitely get this game. It can be very hard at times, but if you become good at setting up combos where you destroy lots of bubbles in one go, then you will find yourself winning matches with ease. If you do get stuck on a particular stage, it is yet another one of those puzzle games where you just can't stop playing until you get past it! Nothing as of yet, unfortunately. Sorry! We have a challenge going on! Good luck! probably my favourite puzzle game of all time. my other fave puzzle games are super puzzle fighter and puzzle link. 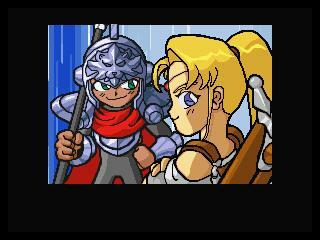 but i think magical drop 2 wins for its fun and competative gameplay. although im not overly keen on the quite dated look of the game it still suits the game and dosnt spoil the extreme fun gameplay. 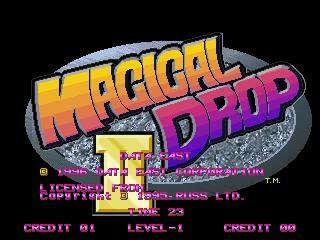 i would realy like to get magical drop 3 but have never got round to it. from an outsider view it looks like theve updated the graphics and made it less dated. 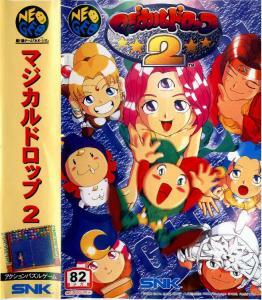 i might get it some day but i am more than content with the awesomeness that is magical drop 2.
so I'm just gonna sit this one out. There's very few puzzle games I actually 'whole-heartedly' like... But they're not like this one. This looks very Bust A Move-esque... but as usual, that's an easy judgement to make with out playing it for myself I guess??! I ACTUALLY THINK... Magical Drop 3 came out on PS1 towards the end of the consoles lifespan... never picked it up though. Excellent Choice for a puzzle game. My favourite characters are Star, Justice, High Priestess, Empress and World. Empress seems to have two halves of a split personality judging by her dark side and her seldomly shown bright side. World does look a bit funny though cos it looks like she's wearing toilet roll paper around her body rather than silk (heh! That is to laugh) My least favourites are Strength and Black Pierrot. I find the appearances of World and High Priestess' clones rather a bad choice of colour. Personally I prefer the SNES version, because the silly clowns in the Neo-Geo version are replaced by small resembling figures of the characters. The music is a wee bit lower quality than the Neo-Geo version but the voices are excellent in variety and tone (The voices are rather samey in the Neo-Geo version). 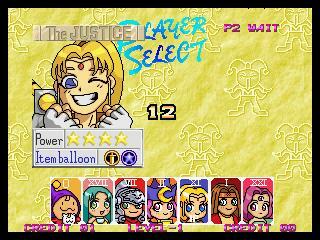 As a bonus there is an extra game mode in the SNES version besides the 1 player and 2 player battle mode and the continuous puzzle mode, there is also the tricky puzzle mode where you have to elimate the balloons all at once in every stage. The only problem with the SNES version is that it only comes in the Japanese language, only the numbers are readable. One of my favourite puzzle games, although I don't really tend to play this one too much as I go straight to Magical Drop III. Honestly though, I don't think there is a better puzzle game anywhere on any system than this series, it's fantastic! I can't remember if it works on MD2, but on MD3 setting the game to Japanese language is a lot better... there are extra options and a proper storyline, and all the characters have their own voices. That is the one negative thing I could say about Magical Drop - the English translation is very lazy really. And, if I recall correctly, the seiyuu who does Chariot's voice is Nobuyuki Hiyama, or the seiyuu who does Joe Higashi's voice since Fatal Fury 1! Great game, really like playing it. I own this for the NGCD and have tried to play it in the past, but it never grabbed me. I still like Puzzle Bobble (Bust-A-Move) for it's more structured game play. I will have to give this another shot. My NGCD Reviews - New Podcast! It sounds like an interesting combination of styles... I think I'll definitely try this one out. This was my favorite puzzle game ever for years... until I finally acquired Magical Drop III, which pretty much improves everything slightly. Absolutely love the game, and is a total blast to play 2 player if you can find somebody that understands the game and can keep up with the super fast paced style. Always love to play this game. Not many people seem to cope well with the frantic gameplay style, though. Most prefer something slower like Puzzle Bobble. Can anyone describe some specific strategy relating to this game or even the third game? Typically, I try to get as many chains in a row as I can. However, I am wondering if it's more useful to do less chains, but burst more colored bubbles at once? I sometimes play this game with my girlfriend. She plays very differently than I do, but sometimes has better results. As I said above, I go for large chains. I will collect the minimum color to break a group (3) and continue on as long as I can keep the combo running. On the otherhand, my girlfriend, she will collect as many of one color as she can get and then destroy them, hoping to get lucky with accidental chains or sometimes have enough time to do more chains on her own. A lot of the time, I will clear away the entire field waiting for more bubbles to appear while my girlfriend will still be collecting colors. A lot of the time, I feel like all my work clearing the entire field goes wasted as my girlfriend's strategy often yields more punishment on me than I do on her side of the screen. What I describe above seems to be more relevant to Magical Drop 3 than 2. I find Magical Drop 2 a little more straight forward and prefer that game over 3, though. Anyway, it'd be nice if anyone well versed in the series could comment on what I said above.